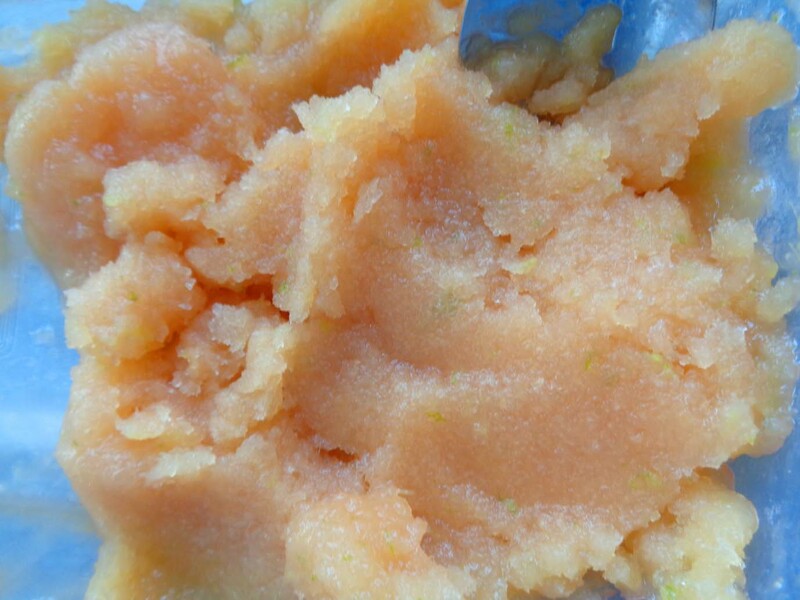 This sorbet was made the old fashion way; a fork, patience, and elbow grease. This version is for people without ice-cream maker. 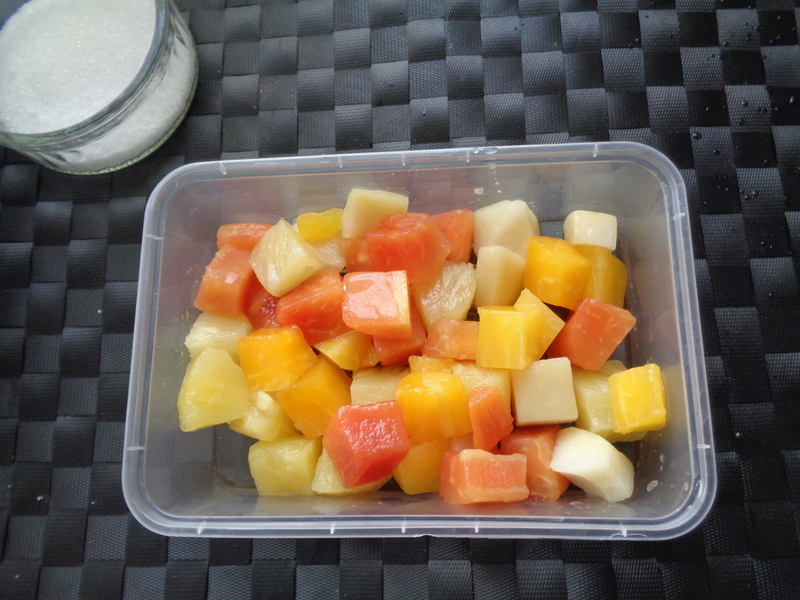 Open the tropical fruits tin, drain the fruits and discard the syrup. 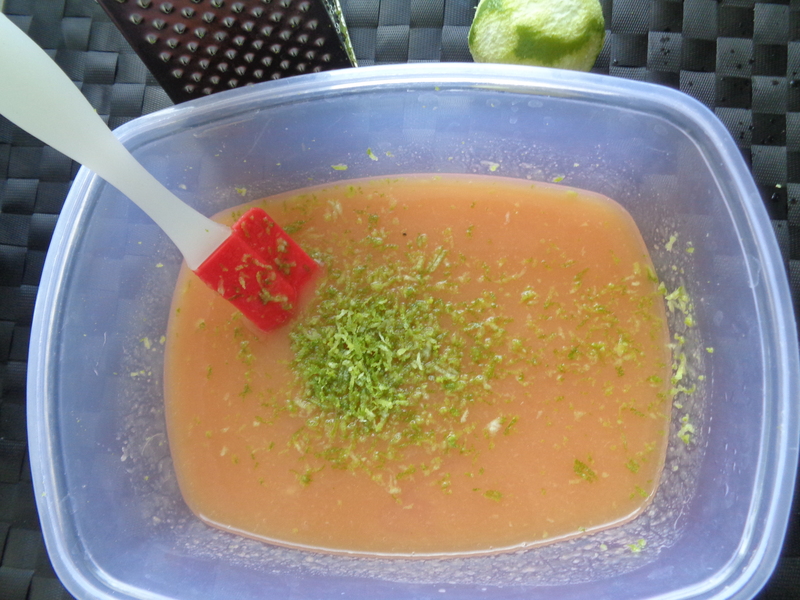 Using a hand blender, liquidise the fruits and add the guava juice. Add the sugar and zest. 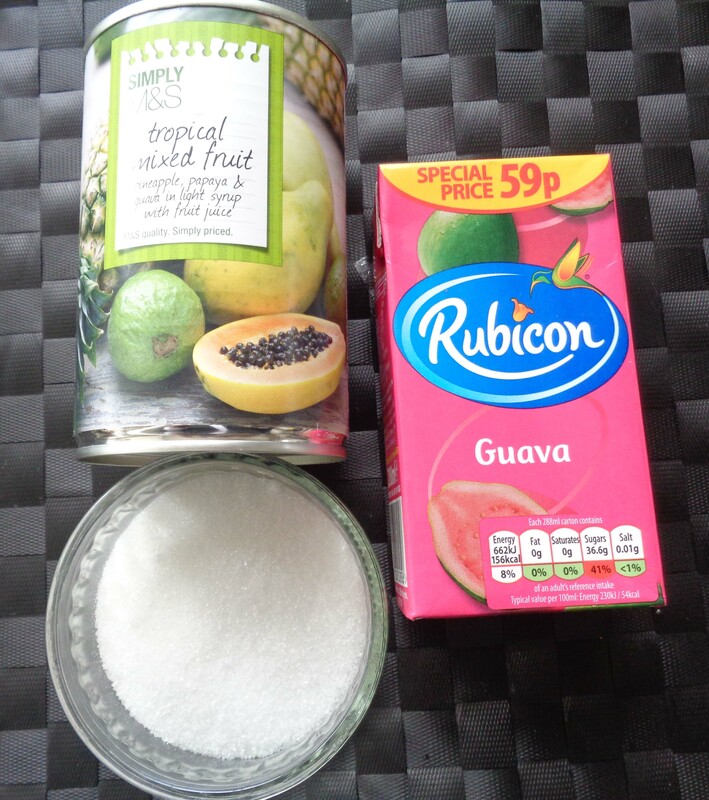 Mix well until the sugar granules melt. 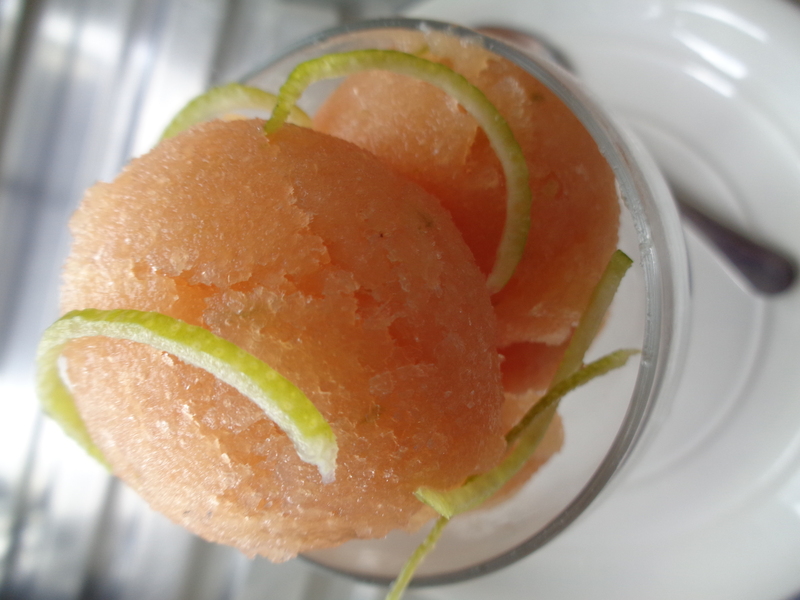 After that, bring out the container and break the ice/sorbet crystals that are starting to form with a fork or a hand blender. I used a fork throughout as I wanted the lime zest specks to still be visible at the end. So, mix well and return the container in the freezer. 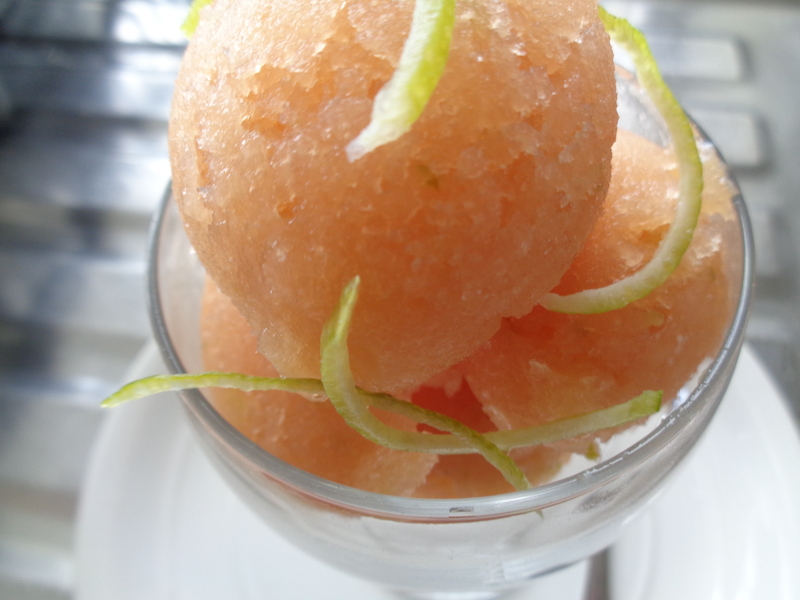 If you do care about the lime specks, just use the hand blender instead. PS: this foodbank related recipe was part of current series I am presenting on Croydon Radio. For further information go to http://www.MadeByHortense.com. 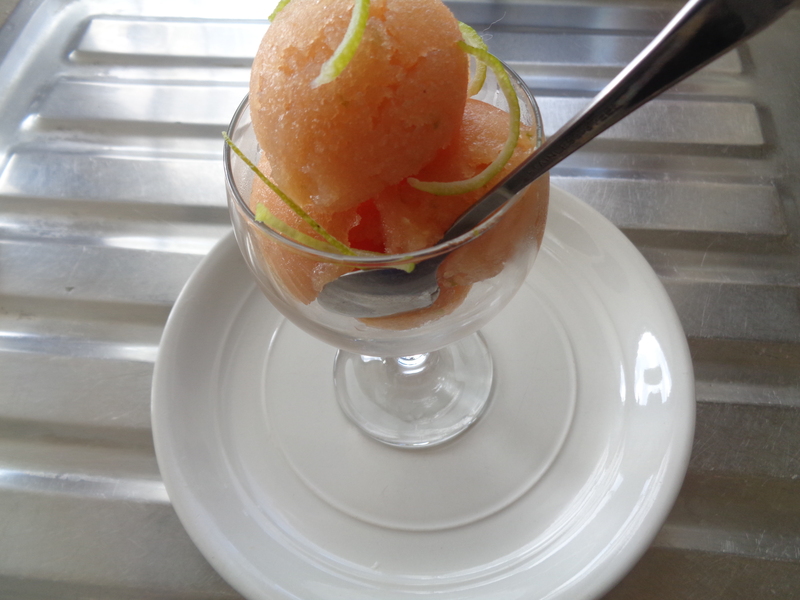 The Sorbet is in the Mexican menu. It is quite easy. Thanks for checking out.